The Apple TV is more expensive than most streaming video hardware, but it is overall is the best-designed and most under appreciated of them all — if only Apple didn't try to control how you use it. AppleInsider switches on. It's no exaggeration to say that Apple TV is the best thing we've ever plugged into our television set. Maybe it would be an exaggeration if we'd also spent the same amount of time with Roku or Amazon Fire sticks —but we suspect not. Apple TV is going to get a significant software update next month with the new tvOS and features we're looking forward to such as easier entering of app passwords. Even before that, though, this is already the box we automatically turn to whenever we want to watch anything. 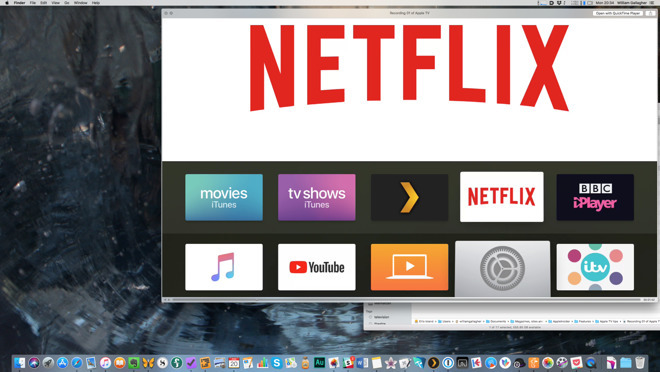 That certainly includes watching iTunes purchases or rentals, but it's precisely as easy to switch instead to video streaming from our Macs with Plex. Then there's live television plus untold box sets of series from our TV provider. Plus there's YouTube and Vimeo right there in our living room. And then there's Netflix too. That does raise a snag, though, and it's to do with Netflix and the TV app. It pains us to say this because every other tip is going to be positive but our first one isn't. 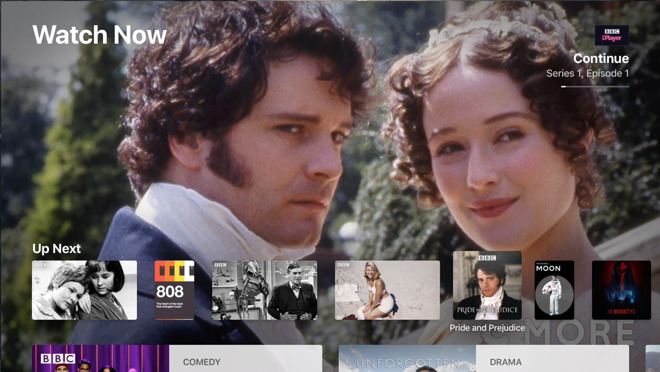 Truly, Apple TV is a treat but for us the treat begins with getting the TV app out of our way. This is the confusingly-named app that Apple wants you to live in whenever you switch on your Apple TV. It's Apple's TV app for Apple TV. 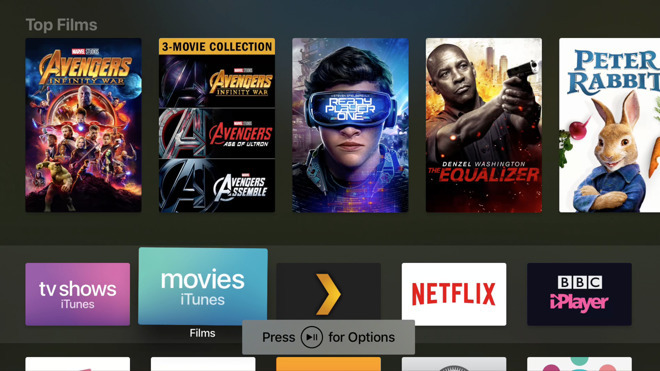 Since 2015's fourth generation Apple TV, even if you want to watch movies, Apple would have you use this TV app because it's meant to be the one place you go to watch everything. The company is so keen on this that it's made the TV app the default. Whatever you're watching, when you press Home on the remote control, you don't go Home, you go to the TV app. Except that means we are forever then having to press the Menu button to get out of the TV app and go to the actual home screen. It's a regular occurrence because this one-stop shop that includes everything you can watch through your Apple TV doesn't actually include Netflix. Netflix is on Apple TV but it isn't in this TV app: you have to launch its own one. Then when you are in the TV app and it's showing you recommendations for things to watch next, there are some design issues. For one thing, we've had it recommend the next episode of a series —but mistakenly recommend the previous one instead. Then typically you can't tell whether a recommendation is for something you have in your library, that's included in an existing subscription or will cost you extra. Even then, though, we won't want the TV app replacing the Home screen. So go to Settings, then choose Remotes and Devices. The second option down is Home Button and it's a toggle. Click it to switch between TV App and Home Screen. That's it, you're done. It's a short fix for a large annoyance but better that way around than the other. While we're dismissing that TV app from our minds, though, you can also move it out of the way. 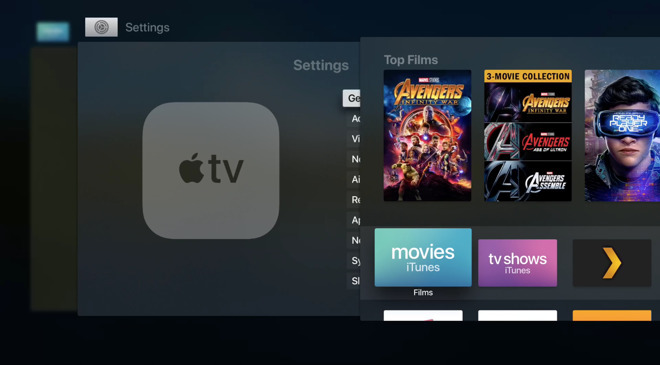 Exactly as you can move apps around iPhone and iPad, so you can on Apple TV. To move an app, click and hold on it until it starts wiggling. Unlike iOS, only the one app wiggles. Swipe across the top of your remote and you move that app along or down the screen, pushing aside whatever else is there. Click when it reaches where you want it to be and that's where it goes. You can also create folders of apps. In theory, you make an app wiggle, then you drag it over another one and click. That should create a folder exactly the way it would on iOS but in practice we just can't seem to hit the right spot. There is an alternative, though. The moment your currently-selected app starts to wiggle, you also see a notification that you can press the Play/Pause button for more options. That line goes away very quickly but if you press that button while it's on the screen, you do get these options —and they include creating a new folder. Perhaps first and foremost is that it can get lost on you so very, very easily. Plus if you've never picked it up and unknowingly held it the wrong way around, you're lying. When you do lose it, the thing is so small that it's hard to find. Until you sit on it again, though, you can use your iPhone in its place. 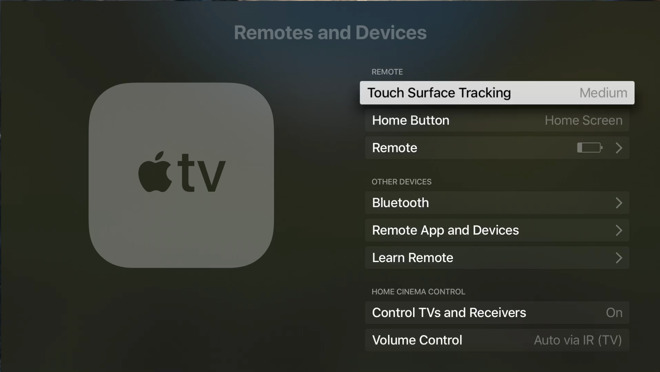 It then needs to find your Apple TV but once it has, you've got a fully-functioning remote right there on your phone. It's even better than the regular remote because you can type text into it when you're searching Apple TV for something. This even works if you don't have the Remote app installed. However, if you're going to give up hunting for your actual remote control, make sure the app is installed. 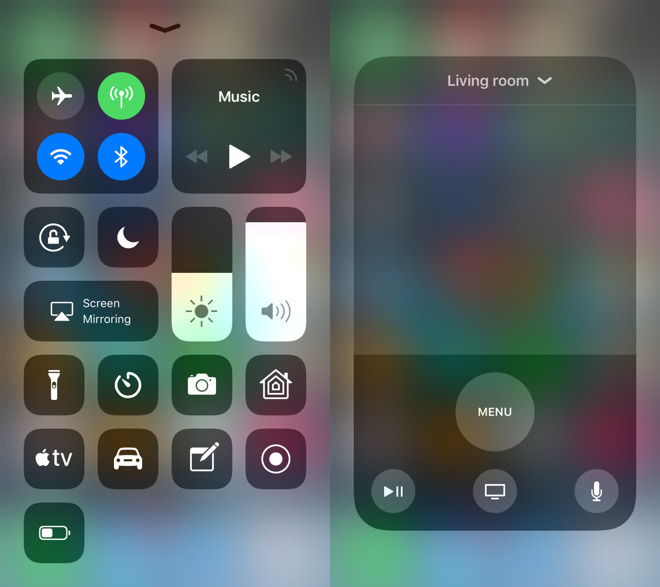 It's quicker to get into the Control Center one but that switches itself off after a few moments of inactivity. Plus the hardware remote control has some extra system functions. It can immediately put your Apple TV to sleep, for instance. That's handy because otherwise, the minimum amount of time before it will go to sleep by itself is 15 minutes. Or if something's wrong and you want to restart the whole Apple TV, you can press and hold both the Home and the Menu buttons together. Again, it takes a few seconds but then the box will restart. We've restarted our Apple TV like this on the rare occasion that it was frozen or something wasn't connecting over Bluetooth. Truly, it's so rare that we're struggling to remember. Unfortunately, we have no such problem recalling when apps go wrong. It's not like this is really common either but there are apps that seem more prone to freezing than others. It wouldn't be fair to single one out when we can't find a reason or prove that it's not some odd combination of apps, so we won't mention YouTube. When any Apple TV app goes wrong, tap the Home button twice. 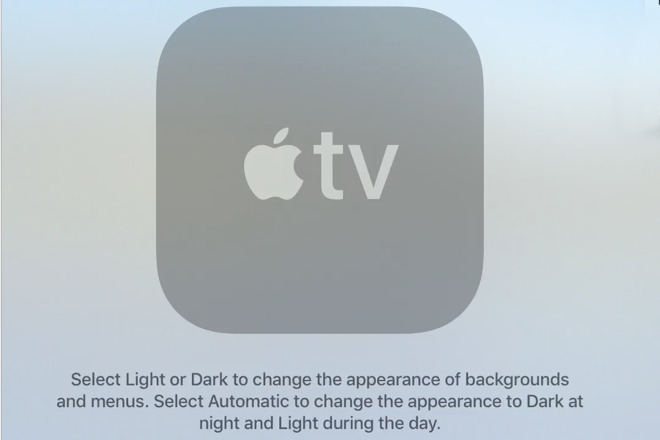 This actually launches the app switcher and usually it's meant for rapidly going to another Apple TV app. Swipe to the one that's causing problems, however, and you can then also swipe upwards to kill it. It is ridiculously satisfying, like you're flicking an errant app off your screen. 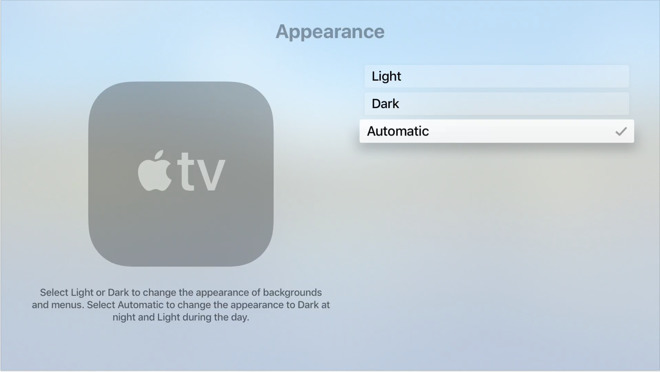 Next, press Home again and you're back at the main Apple TV screen. Then you can find the YouTube app and launch it afresh. While you're doing all this tapping on the remote, though, try clicking the Menu button three times. This is starting to sound like alchemy but what it achieves is that Apple TV goes straight from whatever you're watching to one of its screensavers. It's chiefly a question of taste but to us the light one does look better or at least it does in the daytime. At night, when you come to it after some brooding film noir movie, it can be blinding. There's a Siri button on your Apple TV remote and while what it does is limited compared to, say, Siri on iPhone, it's still addictively useful. Press and hold that Siri button. Then you can say something like "Show me thrillers" and Apple TV will present you with a list that matches. The list will be from iTunes, typically, but it'll match. You do have to hit upon genres it's expecting, so for instance you can't ask it to show you "time travel thriller". However, you can ask it quite detailed questions such as "Who stars in this?" 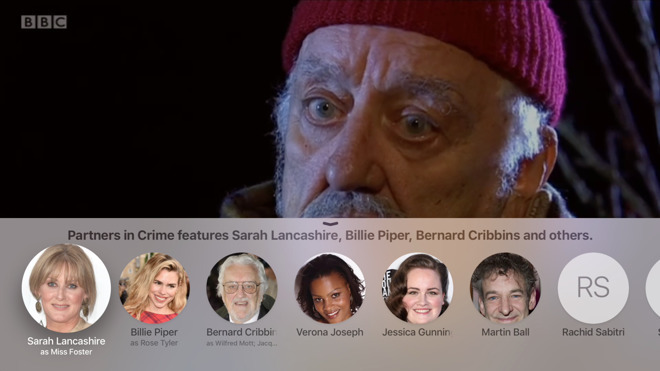 If you ask that while a video is playing, Apple TV will pop up a panel listing the main cast. Or our absolute favorite when we're watching a film with really bad audio is to ask: "What did she just say?" Apple TV then almost always rewinds the video a few seconds so you can catch it again. It's a little inconsistent and depends on the source of what you're watching. If you try it in YouTube then you'll just get a notification that it doesn't work at all. On the other hand, if you try it on a film or TV show you bought from iTunes, it works even better. None of this is something you should do if the whole family is together and engrossed, but when you're on your own, it is so handy. Also when you're on your own, you can be sneak a peek at how much longer this show is going to last. Just tap on the touchpad at the top of the remote and in almost every app that's playing video, you'll get a timeline. It'll show you how far you've got through it and how long the whole show is. If you're close enough to the end that the current time can't neatly be shown, you'll only get the end time but there's a marker showing your progress. There are exceptions. If you guessed YouTube, you're right. There's one more great thing about an Apple TV —you can take it away with you. We seriously wouldn't recommend walking out with it and leaving your family with nothing to watch. However, it is portable. Say you have a slightly old Apple TV and you're tempted to upgrade to the latest Apple TV 4K. You can present with it or you can plug it into hotel TV sets. If there's good enough WiFi, you'll have all of your regular Apple TV services with you. Apple authorized resellers are currently discounting Apple TV hardware, with prices starting at $139. For the latest deals and price drops, please visit our Apple TV (4th Gen) and Apple TV 4K Price Guides.